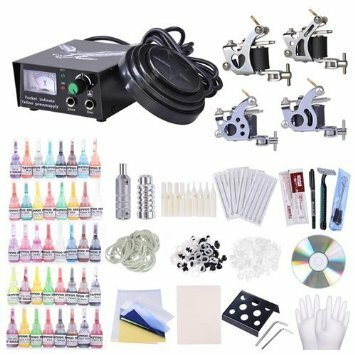 Great professional tattoo machine kit that is great for someone who is just starting in the industry or an experienced veteran. The tattoo machine kit has the complete equipment that you would need for your business or even starters. Very economical yet professional so what are you waiting for and get the tattoo kit to start making money and make your business grow. Please Note:We recommend for beginners to work under an experienced tattoo artist. Also read the manual before tattooing.